Larry Gage is a senior counsel in the firm’s Washington, D.C. office whose practice is focused primarily on public sector and nonprofit health law and policy. In 1981, Larry founded the National Association of Public Hospitals and Health Systems (NAPH)(an organization now known as America’s Essential Hospitals). He served as president of that organization for over 30 years, developing and achieving enactment of Medicare and Medicaid reimbursement reforms that are the economic lifeblood of hospitals serving a disproportionate number of elderly and low-income patients. Along with his advocacy and health policy representation of NAPH, Larry's clients have included major teaching hospitals, medical schools, integrated health and hospital systems, and state and local governments across the country. He has assisted clients with mergers, reorganizations, conversion to other corporate structures and negotiation of complex contracts, affiliation agreements and joint ventures. Larry’s practice also has an international aspect—he is a cofounder and past Board Chair of American International Health Alliance, which is funded by USAID, PEPFAR and other U.S. and international organizations. 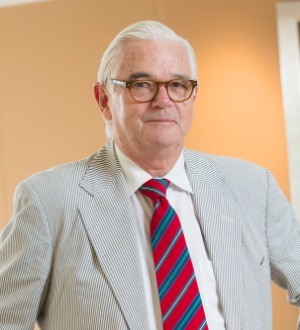 He has provided advice and assistance to clients throughout the former Soviet Union, and in Eastern Europe, Asia and Africa. . Larry was also a member of the Governing Board of the University HealthSystem Consortium for ten years. The governance and legal structure of academic medical centers has been a primary area of Mr. Gage’s focus for over 30 years. He has written and lectured extensively on this subject, including a Special Report on Transformational Governance for Public and Nonprofit Hospitals, published by the American Hospital Association’s Center for Healthcare Governance in November, 2012. In 2016, Mr. Gage also wrote a chapter on “Representation of Public Hospitals” in the American Health Lawyers Association’s Handbook on Representing Hospitals and Health Systems. Larry served as Deputy Assistant Secretary for Health Legislation in the Department of Health and Human Services and as staff counsel and subcommittee staff director for the U.S. Senate Labor and Human Resources Committee (now the Senate HELP Committee).